Why Would China Allow The Gold Price To Be Suppressed? If the precious metals markets are manipulatively suppressed lower as many allege (and as court records and other sources document with evidence), one of the questions many often raise is why would China allow this to occur? 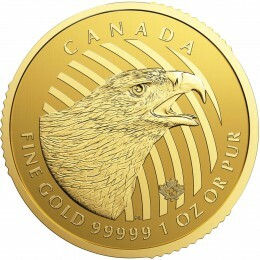 Many look at the developments with the Yuan (such as the creation of the PetroYuan, its possible use as a reserve currency, and the launching of a Yuan-backed precious metals contract) as well as the large amounts of gold that China continues to accumulate, and wonder why they would allow the prices to be suppressed lower. Yet a recent article from the Russia Today titled, “US paper gold suppression allowing Russia & China to buy real gold at discount prices” explained my understanding of what’s occurring rather succinctly. So while it makes sense that if China and Russia are accumulating gold that they would eventually want to see the price adjusted appropriately, it has also made sense that they would continue to accumulate as much as possible at the lower prices first. Which is the conclusion RT has come to as well. 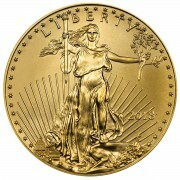 Of course China is no longer alone in understanding the merits of the case for gold. As several countries have repatriated their gold this year, mainstream fund managers have begun investing in gold, and there also seems to be a growing awareness of the leverage that the paper market trading has created. I imagine that some nations and central banks are very well aware of the manipulation that goes on in the markets. While there are likely others that are probably just looking at the wild expansion in the global money supply and seeing gold as a natural response. Yet in either case, there is a growing dynamic where more and more attention is coming to the precious metals markets, and given the fundamentals, it’s not the kind of thing that is easily reversed. Then consider the following quote from the Russia Times article. “According to Claudio Grass of the Precious Metal Advisory in Switzerland, the total trading volume in the London Over-the-Counter (OTC) gold market is estimated at the equivalent of 1.5 million tons of gold. Only 180,000 tons of gold have actually been mined up to today. Commentary like this is becoming more commonplace by the day. And while we have not seen the break point yet, all of the conditions that would logically lead to such an event are beginning to occur. Personally I am beyond fascinated to see how all of this eventually plays out. As when you just look at the events as a spectator, it is a truly incredible story unfolding before our eyes. That I imagine will be talked about and discussed for decades after it all occurs. It’s unfortunate that much of the saga involves behavior that in my opinion is clearly illegal and against the stated principles of our markets. Yet nature and economics have a way of resolving these types of imbalances, and that appears to be what’s occurring again right now. 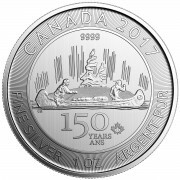 And I continue to expect that when that resolution is complete, the prices of gold and silver will both be considerably higher. 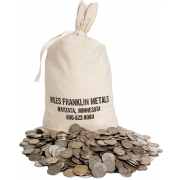 To buy or sell gold and silver call Miles Franklin today at (1-800-822-8080).